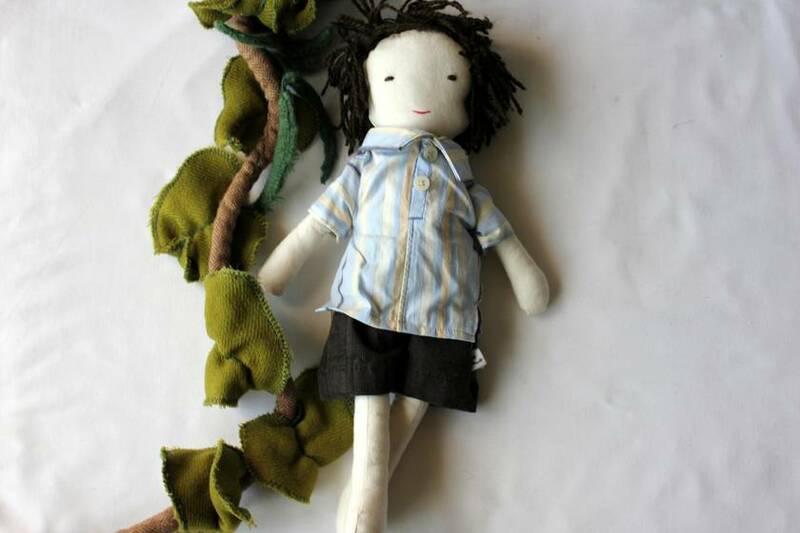 This cute Jack doll has been lovingly made from 100% recycled fabrics and he comes with his own beanstalk. 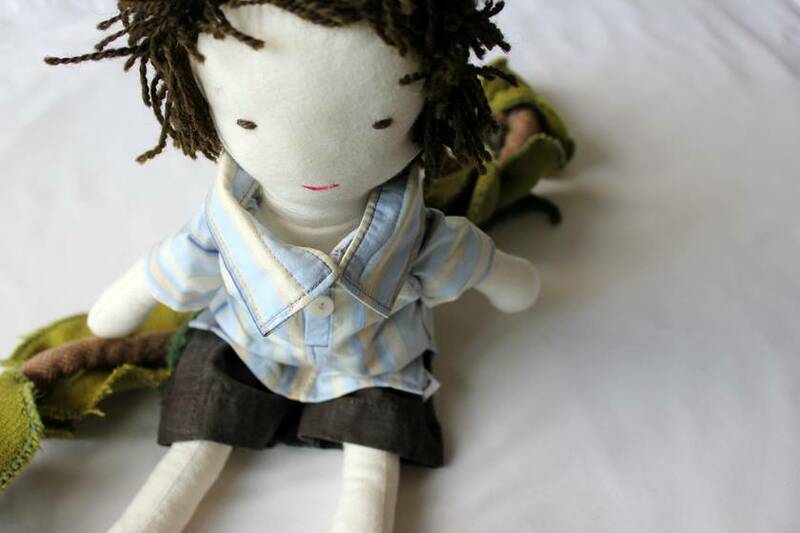 He sits at approximately 20cm, and stands at 35cm high. The beanstalk is approximately 89cm long. 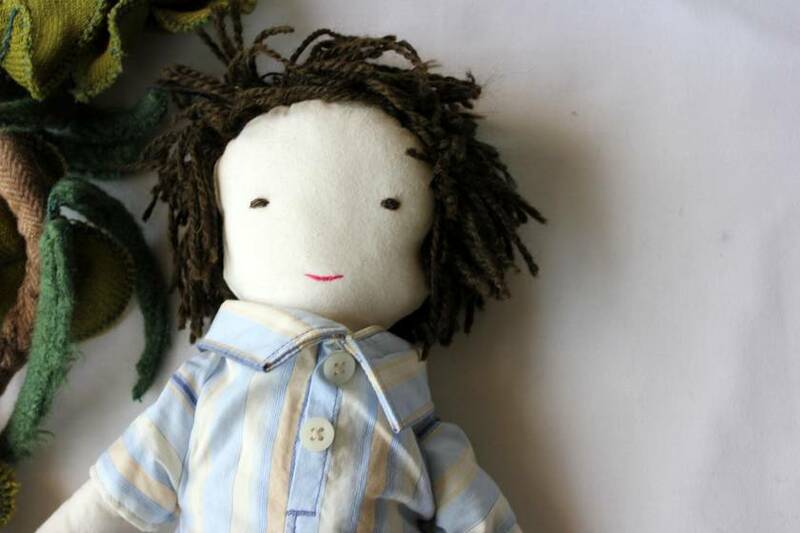 It has roots, leaves and bean pods, and is made from hand dyed woolen and felted fabrics. Listing is for one set, thanks for looking. Contact recreatednz to enquire about payment or shipping options.